How are you with change? Is it something you look forward to, or do you run the other way when you see it creeping up on you? For me, change is expected from time to time.... At some point, I just seem to know that something new is in the air, and then I wait to see what opportunity is heading my way. This year, it happens to be a new job at a new school using a brand new curriculum. Well, actually, the curriculum is thousands of years old, but it's somewhat new to me because it's not what the state and federal departments of education are touting. And I'm excited! 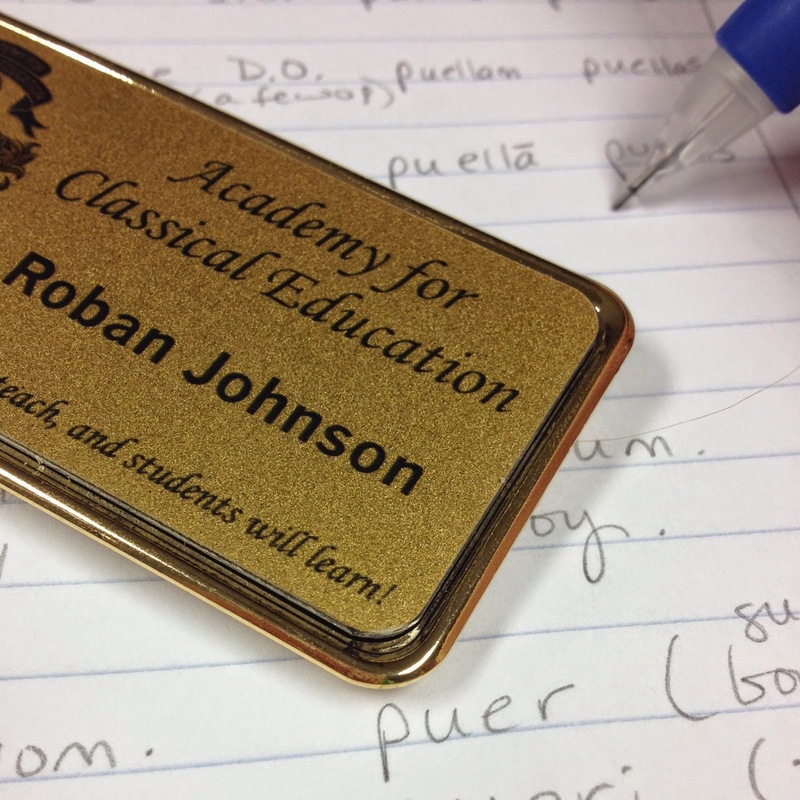 This new school is a charter school that embraces the classical approach to education. I'm still learning about it, but suffice it to say that some of the greatest minds who have lived and breathed on Earth were taught using the classical model. And as I learned more about it, I felt at ease because a lot of what I've done in my classroom is a classical approach. I'm not one to change jobs frequently or without much thought; it was difficult to take that step and say good-bye, but it just felt right. It will be an exciting year for me as one of the founding teachers at this new school. And challenging. But there are times when we just have to strap ourselves in for the ride and see where it leads. The school's motto is "Where teachers can teach, and students will learn." I like that! This sounds really exciting, Roban, and I look forward to hearing more about it. I am so excited for you Roban, a new adventure/challenge to embrace....I know it will be a wonderful ride....sometime bumpy but other times smooth and rewarding. I'm a big advocate of change - fear of the unknown can be quite daunting/unnerving but exciting too. If there is one thing that scares me more than anything, it’s the thought of waking up to do the same routine every day for the rest of my life. As Ralph Waldo Emerson said “life is a journey, not a destination” and I'm optimistic that the best is yet to come. Roban!!! How exciting! Congrats my friend. Can't wait to hear more. It's getting closer - are you so excited? Nervous, too, I bet. Thinking of you.